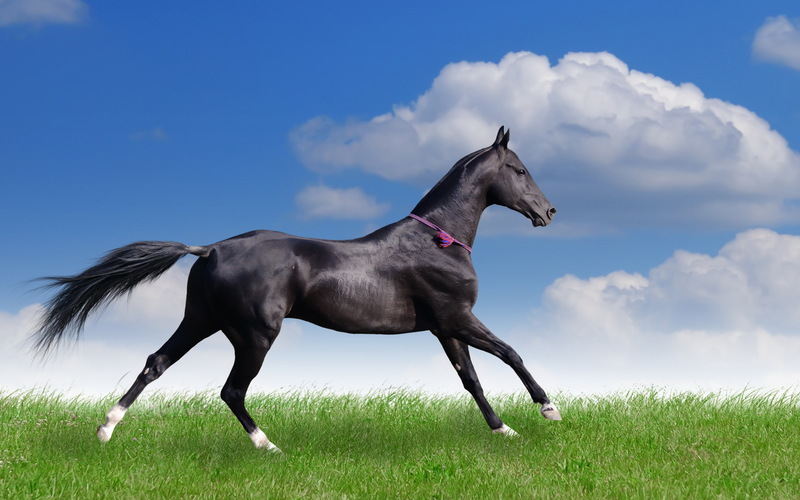 1 What are Cluster Mares? If I have seen further it has been by standing upon the shoulders of Giants. Why start with a quote from Isaac Newton? The reason is simple so let me begin to explain. 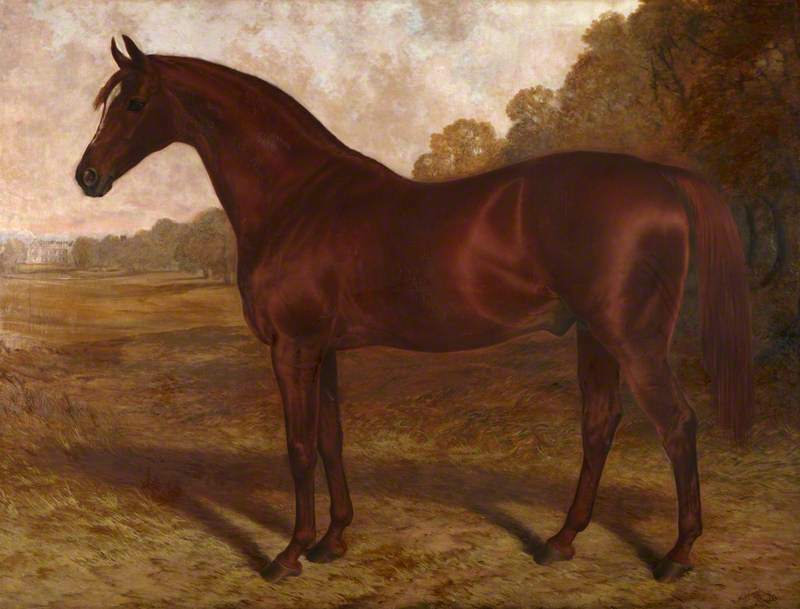 Over the past 350 years as the breed of Thoroughbred racehorses developed there have been many great thinkers involved in trying to unravel the mystery of what makes a great racehorse. To date no one has come up with a reasonable explanation. If one studies the work of those who have made the attempt you will find that although no one came up with the definitive answer some were able to come up with a piece of the puzzle. Taken by itself that piece may make little or no sense, but if you put a few of them together a greater understanding begins to emerge. To that extent the mission of this web site will try to bring together ideas of some of the great thinkers of the breed in the attempt to make a great leap forward in the understanding of Thoroughbred genealogy and pedigrees. When a person is able to take a complex idea and boil it down to its essence where almost everyone can understand the basic concept they have made a significant contribution. One such person is Ken McLean who is the author of such books as Tesio, Master of Matings, Quest for a Classic Winner, and Genetic Heritage. I’ve never met Ken McLean but I have read all of his books and enjoyed them all. Some years ago as I was first reading Quest for a Classic Winner a single paragraph almost jumped off the pages. It was on page 60 that I found an idea that is so important that I have dubbed it the The Ken Mclean Axiom. In a simplified form it explains how Marcel Boussac’s breeding empire developed, and how one should go about breeding the Thoroughbred. The following is the Ken McLean Axiom. 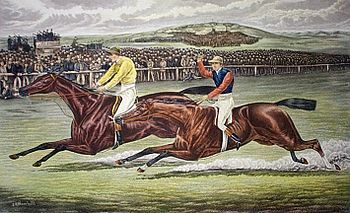 Genetic Influence from superior ancestors becomes diluted after one or two out crossed generations, yet when the same superior ancestors are reinforced in a single pedigree it allows for the recapture of the original source of classic speed. You must first duplicate the source, then go away from it, and then make sure it is reinforced again. With that idea as a starting point let us proceed. I spent 37 years researching and 3 years writing a book called Breeding By Design. What this book will show you is how to concentrate classic speed which is the first part of the Ken McLean Axiom. He speaks of the recapturing the original source of classic speed. Before you recapture it you must first capture it originally. Another book to which mine is complementary is Inbreeding to Superior Females by Rommy Faversham and Leon Rasmussen. In effect we have different people working separately coming to similar conclusions. However, this is just the first step, not too much different from leaving Council Bluffs, Iowa in 1849 and heading down the Oregon Trail with the ultimate destination being the Promised Land. Bare with me as things are going to get very interesting. 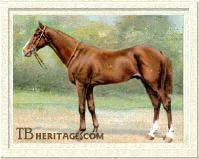 In 1975 I moved from Upperville, Virginia to Carl M. Freeman’s farm in Unity, Maryland to run his breeding program. At a dinner party when we first met I had told Carl that he could breed champion racehorses from his cheap mares if he gave them the same opportunity as would be given a champion racemare. Everyone said I was a lunatic for making such an outrageous proposal. As it turned out, a few years later, one of Carl’s unraced $10,000 mares produced Miss Alleged who won the Breeders Cup Turf at odds of 40-1. However, that’s not why I’m telling you about Carl Freeman. The first month I was living on Carl’s estate he gave me a book to read called Breeding Racehorses from Cluster Mares by Dennis Craig. This book published in 1964 could arguably be considered the most important book ever written about Thoroughbred Horse breeding. Carl didn’t have the background to understand the book, but he thought that I might. I had the book for a couple of months and read it with great interest and although I was able to understand the basic principle put forth I couldn’t understand the pedigrees. Many of the pedigrees were from before 1900 a period of time I hadn’t begun to study at the beginning of my career as a pedigree analyst. The basic principles put forth by Mr. Craig are absolutely true to the point that they should be chiseled in stone. 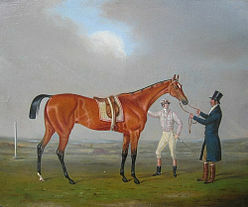 They are; Excellence in the racehorse is not the property of certain female lines as such, but has been derived from a select band of outstanding mares whose influence on the development of the Thoroughbred has been paramount. This select band of mares he calls Cluster mares. 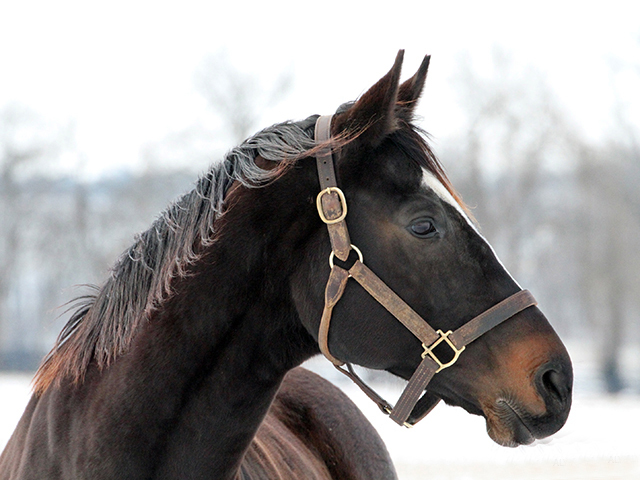 The second insight that Dennis Craig puts forth is that classic winners often are not worth the inflated prices that are paid for their services, and recommends the use of less fashionable non-classic-winning stallions who have some of the same cluster mares close up in their pedigrees as the broodmares with whom it is proposed to mate them. After careful consideration I’ve found both of these statements to be absolutely true. If you continue to read you will find out why. Now let’s continue the story of how the lifetime work of several individuals may have led to a breakthrough in pedigree analysis. I was impressed with the book Breeding Racehorses From Cluster Mares, but 37 years ago I didn’t grasp all of its implications. However, I did write down the list of mares Dennis Craig designated as Cluster mares. I didn’t do anything with the list I just put it away and didn’t find it again until recently. For some odd reason the names of two of the cluster mares stuck in my mind. 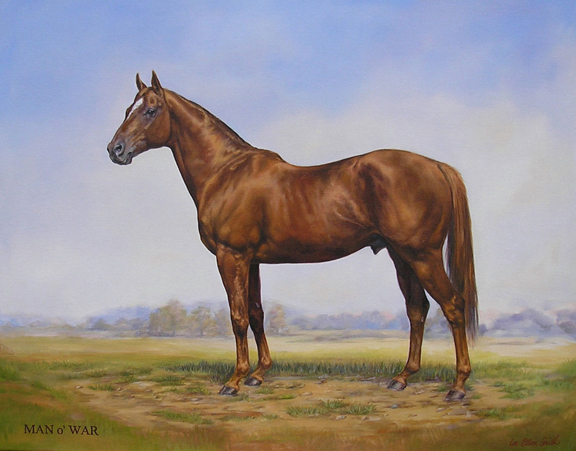 “My aim has been to exhibit in an easily absorbable form a bird’s eye view of a branch of any given family including therein the most important horses and mares originating therefrom. Without which you would not be reading anything that follows (one of the giants whose shoulders I have the privilege to stand on). I had never seen a book like this one and as I was flipping through the pages I stopped on the originating mare of the number 6 family that of Old Bald Peg. As I looked down the page, low and behold who did my eyes alight on? Giantess! 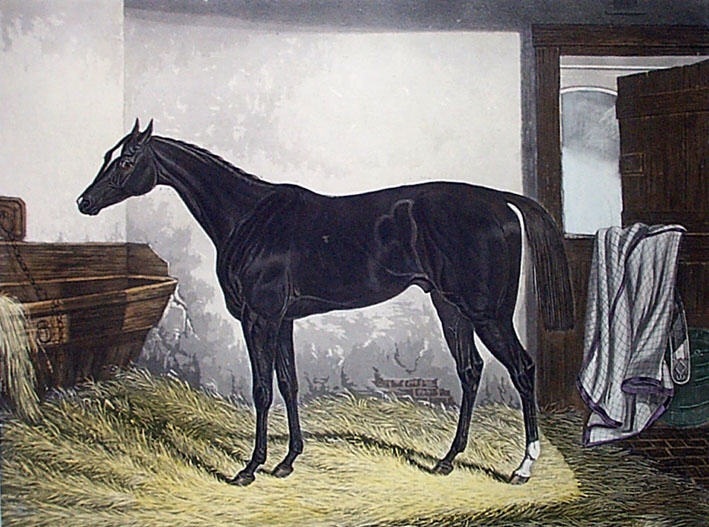 By some quirk of fate I as I browsed through this old book I had come upon one of the two mares I remembered from Breeding Racehorses from Cluster Mares. Since the page I was looking at didn’t have enough room to show Giantess’ descendants it said right under her name go to page 56 column 10. When I turned the page I quickly realized why Giantess was designated a Cluster Mare. 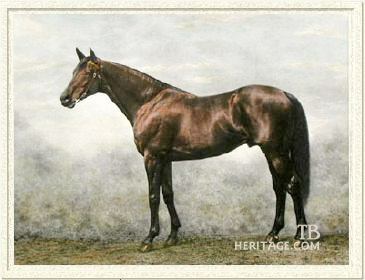 Laid out like a family tree under Giantess were 8 classic winners and 3 leading sires produced by her daughters and granddaughters. The significant factor that I was observing was that all of these top horses traced to Giantess. At that moment I decided that if I could find out what gave Giantess such great genetic prepotency I would be well on the way to unraveling the mystery of thoroughbred breeding. Because the books in the Selima Room could not be checked out the next time I visited the Library I made a copy of Thoroughbred Pedigree Charts so I could study it at home. It took 35 years of study but I finally came up with an explanation of what made Giantess, Giantess. I recently completed a book about that entitled Breeding by Design. It was only after completing Breeding by Design that I made what I consider to be a remarkable discovery. This is how it came about. Keep in mind that this discovery brings together the work of many different people who devoted their lives to researching thoroughbred Pedigrees. I had wondered over the years why Dennis Craig called his great broodmares Cluster mares and I’ve just realized recently why that might be. When you look at Giantess on page 56 of Thoroughbred Pedigree Charts one might compare the classic winners and leading sires appearing below her like a cluster of grapes hanging from a vine. Giantess occupied the place where the cluster joined the vine hence the expression Cluster mare. After I had copied Mr. Keylock’s book I would browse through each Thoroughbred family looking for a cluster of classic winners. Keep in mind I wasn’t thinking in terms of cluster mares at that time I just wanted to find out which mares represented the source of this great racing ability. 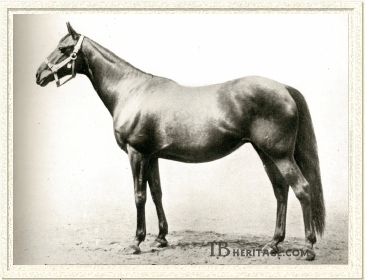 When I found the mares that had a cluster of classic winners hanging below them in the family tree format I made an investigation of that mare. It took 35 years to come up with a definitive answer primarily because for most of that time there were no desktop computers. 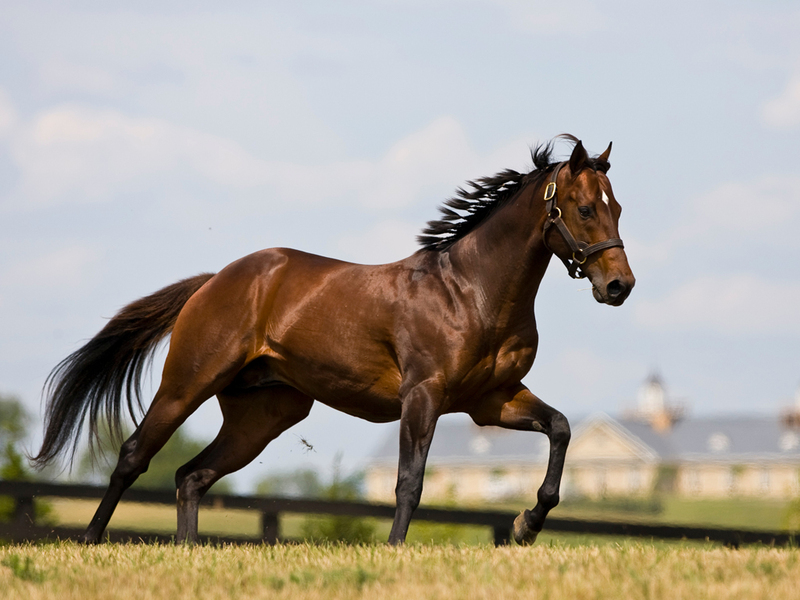 When I finally purchased the pedigree program Tesio Power things began to move at a much higher rate of speed. Finally, I put the information I had garnered in studying female lines into my book Breeding By Design. It was after I had completed my book and sent it away for publication that I made what I consider an amazing discovery. After writing Breeding By Design I thought in might be interesting to reread Dennis Craig’s book Breeding Racehorses From Cluster Mares, that is if I could find a copy. Keep in mind the book was published almost 50 years ago. Thanks to the internet I was able to locate as copy at Abe Books in England for the reasonable price of $60. I ordered the book and was excited to begin reading it when it arrived a couple of weeks later. The rereading of that book was like a bright light illuminating the darkness! Suddenly I could see that which was invisible before. It was almost as if I could see pedigrees through a new form of prism. What I’m going to tell you and show you in future essays will change the way you perceive a Thoroughbred pedigree. You might be asking yourself why I might be willing to share this information with you. It is certainly going to prove to be very valuable. You can be sure I’m not doing this for entirely altruistic reasons. In this credentialized society in which we live, I’m going to write my own credentials. What I’m very good at is stealing horses from the sales. Not outright theft, but I can purchase a horse that will prove to be worth 10 times what I pay for it. If you’re impressed by what you read on this site you can contact me and I’ll act as your agent and work with you to build your breeding programs. In another sense, if I don’t come out ahead in a material sense at least I won’t take this information to the grave with me. I’d like to close this preface with a couple of ideas. Above all other things I am a fan of Thoroughbred racing. Sometimes in films you come across a scene or a statement that makes a significant impact on your consciousness. I found the end of the Shawshank Redemption particularly moving. Remember when Red (Morgan Freeman’s character) is paroled after serving most of his life in prison. He’s made a promise to his friend Andy that if he ever got out, he would go to a certain field in Buxton, Maine and look for an unusual rock next to a giant oak tree. Under the rock Red finds a metal box with a steamship on the cover. Inside he finds an envelope filled with $50 bills and a letter. The letter begins, “if you’re reading this you’ve gotten out. It then continues with the line I opened this site with, “If you’ve come this far maybe you’re willing to come a little but farther! Do you remember the name of the town? Red whispers to himself Zihuatanejo! Horse Racing is about hope. That is the essence of it. We all hope the great horse is out there somewhere in our future. Hence the old saying, “No one has ever committed suicide that has an unraced two-year-old. One last thought before I close. From another film comes another idea I think is appropriate to this discussion. This one comes from a sort of fun film not in the serious mode of the Shawshank Redemption. It’s called The Replacements and it’s about the replacement players that substituted for the NFL players when they were on strike. The team is supposed to be the Washington Redskins but they are called the Washington Sentinels in the film. At the end the Replacement players get the Sentinels into the playoffs with a sensational touchdown with 7 seconds left in the game. But, the replacement players aren’t going to play in the playoffs or the Super Bowl because the strike has ended. In the last scene the coach is walking off the field and we as the audience can read what he’s thinking. This is what we hear, “The replacement players of the Washington Sentinels left the stadium that day, there was no ticker tape parade, no endorsement deals for sneakers, or soda pop, or breakfast cereal. Just a locker to clean out and a ride home to catch. But, what they didn’t know was that their lives would be changed forever, because they had been part of something great; and greatness, no matter how brief, stays with a man. This is another idea that epitomizes racing. Take a horse like Zenyatta, everyone involved with her was touched by greatness whether it was her breeder, those who raised her, her trainer, her jockey or her groom, you could even include her fans. If by writing what I’m about to write I can be part of something great I’ll be very happy indeed. 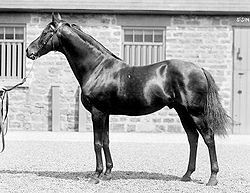 In the next edition I’m going to show you the pedigrees of 9 great horses which are all bred exactly alike in one particular way. I want you to look at their pedigrees and see if you can determine how they are bred exactly alike and then in the following edition I’ll give you an explanation. I think then you will be more then a little excited and interested.